we get lots of compliments on our well kept site. We also think you’ll love our new (2015) toilet block – it really isn’t what you’ll be expecting to find at a camping park. 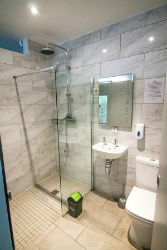 We hope you’ll enjoy the rain head showers, underfloor heating, extra large cubicles and anti fog mirrors. You can access a number of walks from the site, we particularly like the route that ends up at The Wiremill Inn on the Lake (there’s a 5 minute or 15 minute route). The Wiremill looks out over a peaceful fishing lake, we highly recommend visiting in the evening and sitting on the terrace. You’ll also find the River Eden at the bottom of the site, perfect for pooh sticks and spotting some of the native wildlife. On our busier weekends we provide bouncy castles and inflatable fun for your younger guests. There’s also plenty of space to play games, sunbathe and unwind. 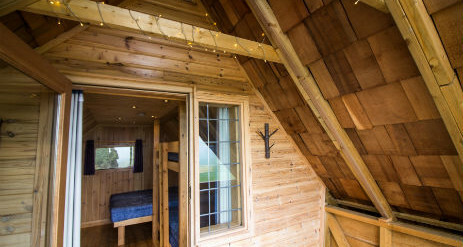 There are four glamping options at Long Acres. 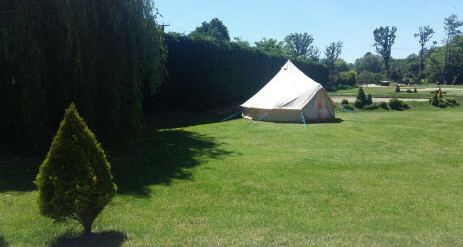 The second option is our luxury 4m bell tent package. Where possible, these will be sited overlooking the hay meadow (grown from April-June) and close to our newly built luxury toilet block. 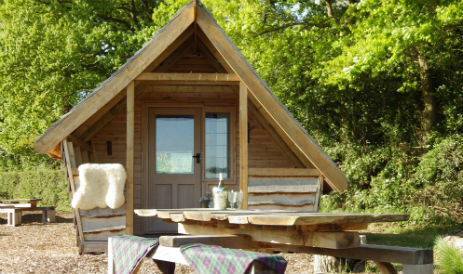 Our new tipis come in a luxury package and include the same as the pod luxury package, apart from the heater. 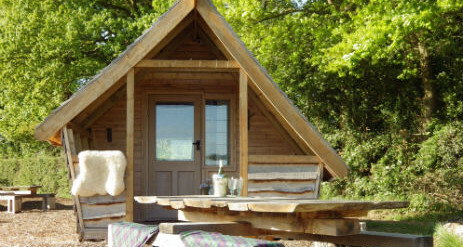 These are £99 for one night, but if bookings are over 3 nights we offer a 25% discount. We’re only 45 minutes from London Victoria by train and then a 5 minute taxi ride from Lingfield train station. The perfect location for a break from the hustle and bustle of city life. 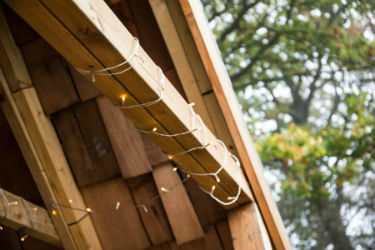 We’re also less than 20 minutes from Gatwick Airport and many of guests enjoy watching some of the planes fly overhead. The British Wildlife Centre is less than a mile away, where you’ll find all sorts of exciting creatures and learn a little more about the native wildlife. 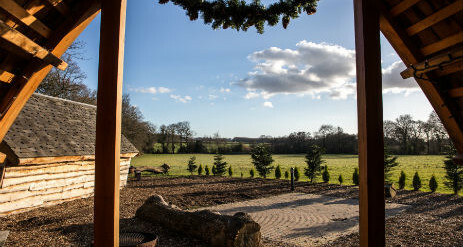 Special events: We are a five minute taxi ride from Lingfield Park racecourse and again a five minute ride from the spectacular Edenbridge and Oxted Agricultural show. We are close to a number of excellent pubs, two fishing lakes and a waterskiing lake (walkable). We’re also a short drive from Hever Castle, Chartwell House (former residence of Winston Churchill), Sheffield Park, Wakehurst Place, the Bluebell Steam Railway (I can personally recommend the afternoon tea trip), Godstone Farm and less than 7 miles from two highly recommended vineyards. 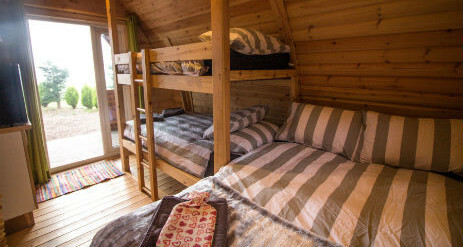 £60 per weeknight / £65 per weekend night. Discounts are available for longer bookings. 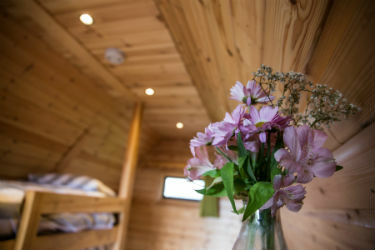 Luxury Glamping Pod Package; Additional £18 per booking. 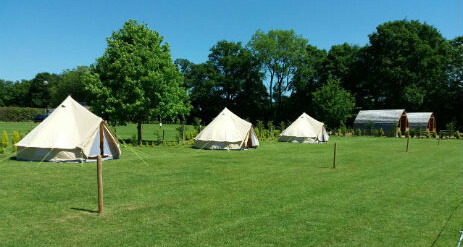 Luxury tipi: £99 per weekend / £89 per weekday. Wi-fi is available on site, it is provided by an external company and therefore there is a small charge. The showers take 50p but this provides you with 15 minutes of hot water. Unless you are specifically booking a luxury package you will need to provide your own bedding. All packages will need to provide their own cooking/eating utensils. The luxury packages need to be booked by phone (01342 833205) but all other packages can be booked either on the phone or on our website.